The project involved the preservation of a one story 8,500 SF historic ice plant, constructed ca. 1905, for use as a welcome center, museum, meeting facility and office space. See the before and after photos in this post. 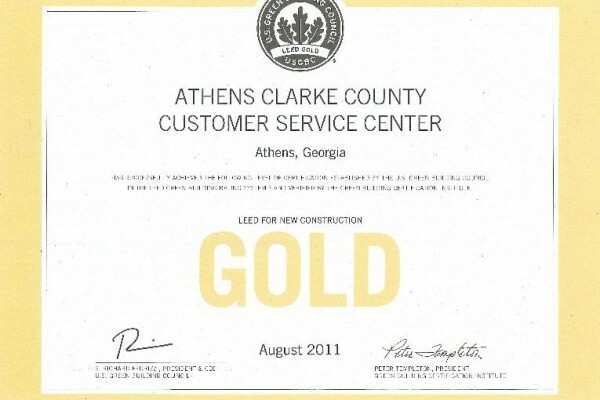 For more information visit our Portfolio page and click Historic tab. See our project summary in Portfolio under Government tab. 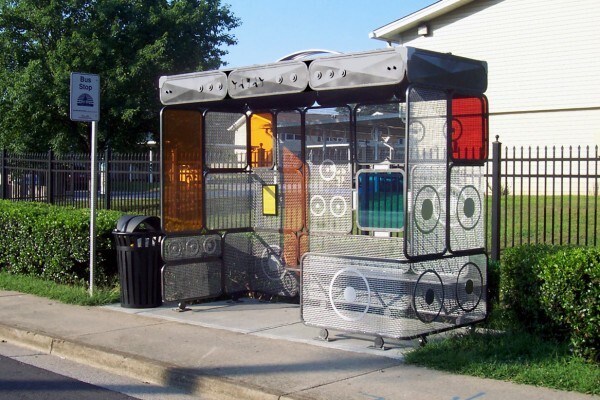 Athens is home to some of the coolest bus shelters around, thanks to the Athens Area Arts Council, Athens-Clarke County Unified Government, and Athens Transit Service. After a country wide contest where designers could send in their ideas for creative bus stops paying tribute transportation or to the Athens music scene, eight winning designs were installed. “You, Me and the Bus” sought to integrate utilitarian public services with artistic ingenuity and inspiration. The arts council now has commissioned and installed eight fanciful bus shelters – the first four with a transportation theme, the latest ones focused on music. While artists.